The 3rd edition of Óliver González Chess Memorial concluded in Madrid last Sunday, in the popular neighborhood of Retiro. 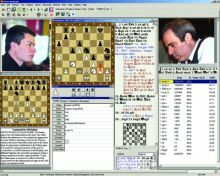 This chess festival is held every year in memoriam of the young FIDE Master from Madrid Óliver González, deceased in 2009. The final victory was for Cuban GM Holden Hernández, alone at the top of the standings with 7.5 points despite drawing his initial game. 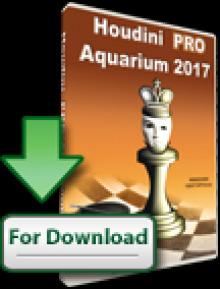 He was accompanied on the podium with Ukrainian Grandmasters Martyn Kravtsiv and Andrey Vovk, both unbeaten with 7 points. 4th position was for top seed GM Sergey Fedorchuk and right behind him we can find the first local player, the young IM Ángel Arribas. Other outstanding performances were done by junior players from Madrid Adrián Vázquez (9th) and IM David Antón (10th), who was about to get his third GM norm the last day. 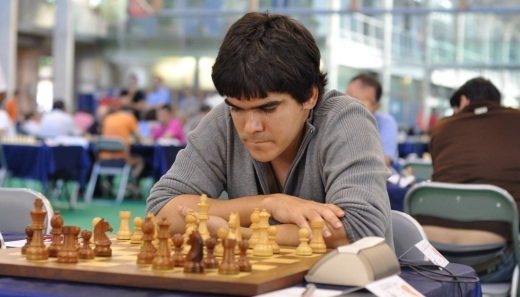 Simultaneously to A Tournament, the B Tournament for players rated under 2100 was held, with the final victory of 14-years-old Rubén Fernández Gil. In total, 242 players took part in the 3rd Óliver González Chess Memorial, 43 of them title holders, with 17 different nationalities. 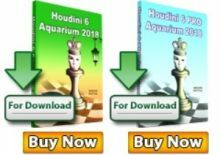 Besides, a good number of side events run parallel to the chess tournament, such as a football match (A Tournament’s team vs B Tournament’s team), Children’s Cup, Simuls, a magic show, night Blitz tournaments, Blitz open, karaoke, etc. So definitely players didn’t get bored during their stay in Madrid. 3rd Óliver González Chess Memorial has been organized by “Virgen de Atocha” Chess Club with the main sponsorship of “Vázquez y Torres Ingeniería”. The City of Madrid provided a fantastic playing venue and the “Irish City Sports Bar” hosted many of the side events. Other important collaborators in the success of the Memorial have been “Limpiezas LM2″, CDV Chess Club, Móstoles Chess Club, Tajamar Chess Club, Chess Federation of Madrid, and more. See you next year!